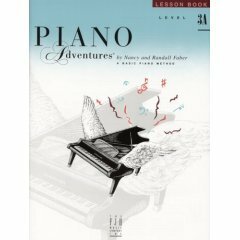 - Simply by opening up this piano lesson book which has title - Accelerated Piano Adventures Lesson Book 2: For the Older adult Beginner piano lessons, you will be encouraged to always practice and practice. Moreover, your talented fingers will help you play well. The more time you spend learning the theory of music in this piano lesson book, the quicker you will be capable to play whatever songs you like. Start to master any kind of awesome musical instruments and be delighted to immediately choose kind of pianist you would like to become.